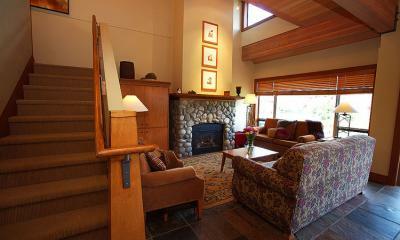 For those seeking a home away from home on your group's next Whistler golf vacation - do we have a solution for you! 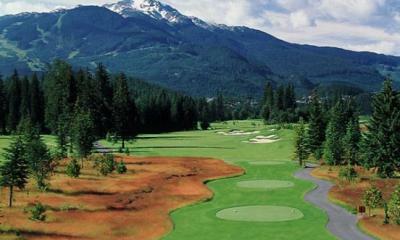 Global Golf Vacations uses a luxury townhome development located in Whistler Village North only minutes from the main village pedestrian lanes that are lined with numerous shops, restaurants and bars. These luxury townhomes are also centrally located only minutes from Nicklaus North Golf Club, Fairmont Chateau Golf Club, and Whistler Golf Clubs. Each new townhome features full garages, 3 bedrooms, mimimum 3 bathrooms, full gourmet kitchens with granite countertops, private patios with bbq and hot tub, fireplaces, as well as amazing mountain views of course. 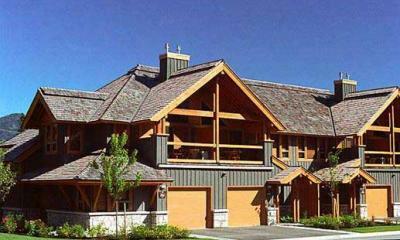 Each home also comes fully airconditioned for comfort during those hot summer months up at Whistler. 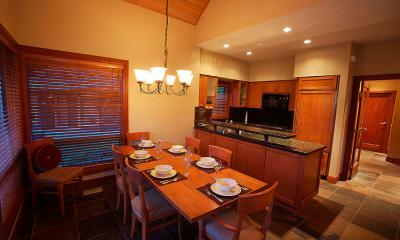 Choose from a variety of floor plans that comfortably sleeps 6 to 8 guests depending on the group configuration. If your group exceeds 8 people - not to worry - numerous homes can be accessed in the complex all combined to accommodate groups as large as 24 in some cases. 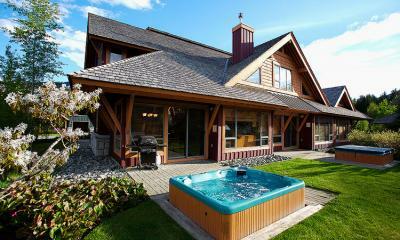 Houses book up quickly so early planning for this unique and luxurious golf vacation rental is recommended. We can include golf at a variety of local courses in the area including rounds at some courses in nearby towns such as Big Sky Golf Club in Pemberton and Furry Creek in Squamish just to name a few.